You all know how much I love maps and terrain. Let's now talk about these awesome and detailed maps made by Arcknight. Why should YOU use maps? 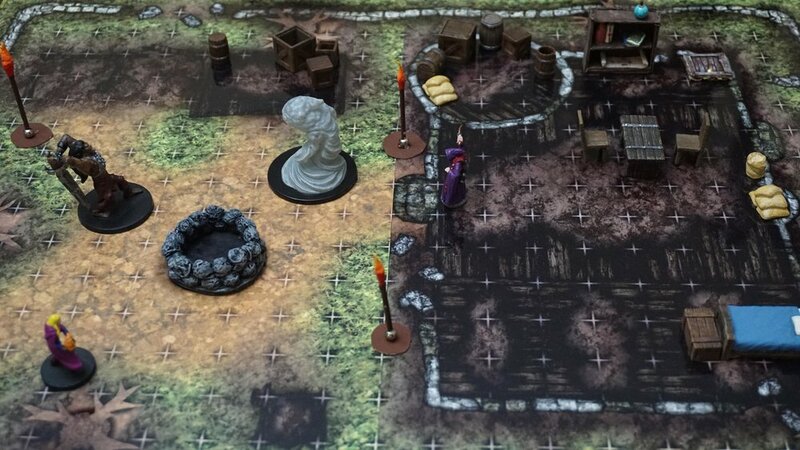 Let your players try anything (reward their creativity with Inspiration), like using the candle on the table to start a fire. 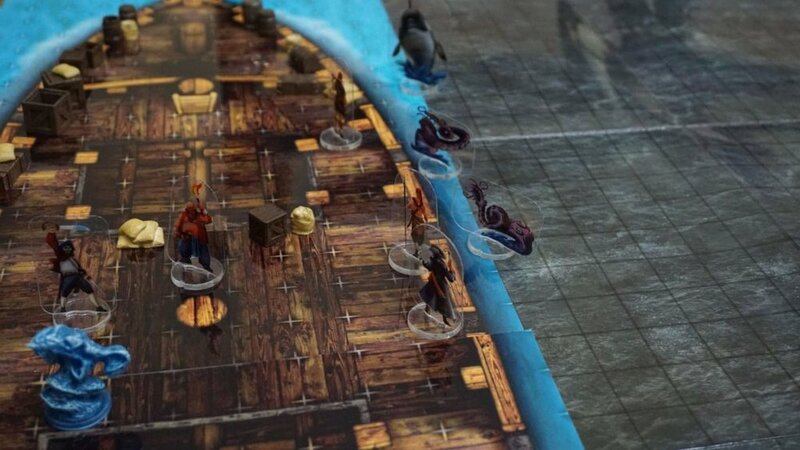 "Force" your players to make tough decisions, like pushing the enemy off the bridge, instead of killing it hit by hit. Describe the world and environment, like the color of the walls, the spider webs that have been there for ages or maybe how dark and lonely the night seems to be. Maps are awesome accessories that let you do all this faster and better. Because they provide a nice visual representation, bro. The best way to teach something to someone is using visual representations. Imagine not using media resources or even a blackboard when teaching something to children... they would be (even) more confused! Arcknight is a 2-man hobby-turned-business that creates awesome, innovative & high-quality roleplaying games products. If you have read my Valentine's Day Gift Guide then you already know about the quality of their products. Their company started with a successful Kickstarter in 2013 that got funded for $17K and after that, they've made 6 more Kickstarter campaigns! They're NOT your typical RPG accessory company. They specialize in double-sided-transparent-plastic-printing. 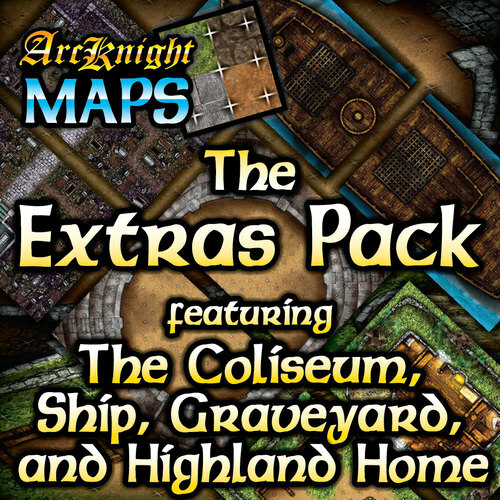 Although I already have maps from Maphammer and Paizo, I decided to get a map set from Arcknight called "Extras Pack". I was definitely happy with my order. Maps are vital to your campaign and our friends at Arcknight know that. The "Extras Pack" comes with 8 double-sided pages, that means you get 16 modular maps that can be mixed with other map pieces and reused for virtually infinite times. 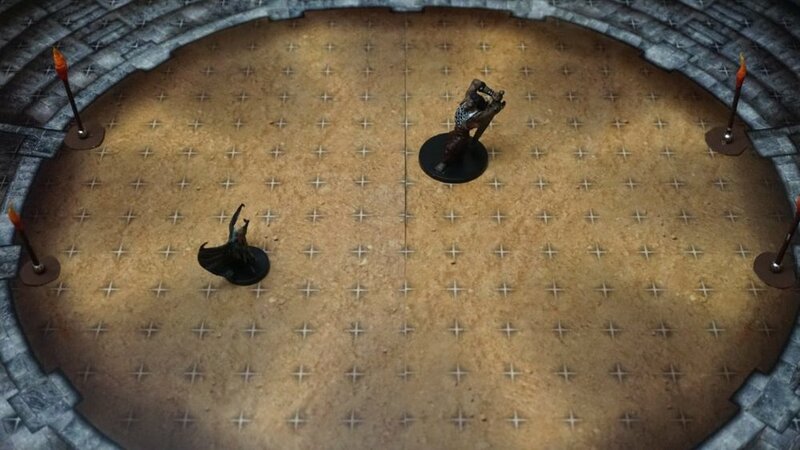 *Each map piece measures 17" x 11"
Arcknight's maps are designed having in mind every dungeon master's needs. They deliver products with great quality. In addition, the maps are available in different styles: square grids, hex grids or gridless. Pick whichever you like the most. The maps are laminated: wet and dry erasable! Arcknight Maps are really what you've been looking for 5/5. A must-buy if you want to expand your collection. Performance: 5/5 - Resistant, offers replayability, is combinable with other brands. Price-Value Ratio: 5/5 - Normally for $20 you get 2 map pieces, in this case, you're getting 8 for $30 ($3.75 each map). Unbeatable! Product Quality: 5/5 - Detailed, laminated, come with its own protective case. If you're the type of dungeon master that likes to run tactical combats, design cities, and scenarios and use 3D tokens or terrain and miniature to level-up your sessions, then this product is definitely for YOU. These guys at Arcknight know what they're doing. I totally recommend this product! Any new dungeon master or player who wants to start using maps and miniatures on RPG campaigns must get this. If you are like me and want to save time and start playing, or just wants to expand his/her map collection, this is what you've been looking for!